Historically, Total Base Number (TBN) has been a key indicator of remaining useful oil life in heavy duty engine oils. While acid neutralization is still an important function of engine oil, changes in engine design and the move to Ultra Low Sulfur Diesel (ULSD) fuels have decreased the amount of acids produced in the engine and also resulted in generally weaker acids being produced. ASTM D2896 is the test method most commonly used to measure TBN on new oils. Use of a very strong acid identifies both “hard” and “soft” TBN, giving the total alkalinity reserve of the sample. The value obtained from this test is the number reported on most technical data sheets. 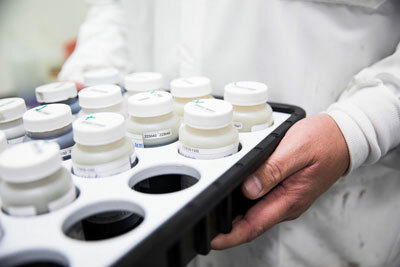 ASTM D4739 is the test favored by oil analysis labs on used oil samples. Using a weaker acid, it only identifies alkalinity from metallic elements like calcium, magnesium, and zinc. These metals are often doing double-duty in the oil (calcium provides detergency and acid neutralization; zinc in the popular antiwear additive ZDDP also contributes to anti-oxidation). This test does not identify newer ashless (i.e. non-metallic) additives, and reported values will be lower versus ASTM D2896. The spread in values between the two test methods is now three times bigger than it was during CI-4+ and double that of CJ-4. A quick and easy rule of thumb for most oil analysis laboratories and many fleet maintenance managers is to drain the oil when the TBN reaches 1/3 of its starting value or 3.0 mg KOH/g, whichever comes first. Detroit recently released its 2018 Service Bulletin (DDC-SVC-BRO-0001) in which it has removed TBN limits entirely from the used-oil analysis parameters. Discussions with other key engine builders has revealed that they have noticed that used-oil TBN values are often very low – sometimes below 1.0 mg KOH/g – yet without any additional indications of adverse oil condition. We expect other engine builders in time to follow Detroit’s lead and either update or eliminate their TBN guidelines. What to monitor if not TBN? When looking at used oil analysis reports, the full range of available data should always be considered. A better practice is for Oxidation/Nitration values above 25 units to get your attention, with a condemning limit between 35–40. This measure also should be paired with the viscosity trend to determine when oxidation is about to accelerate. Because additive chemistry has shifted, standard used-oil TBN testing protocol simply doesn’t provide the same level of insight that it once did. In the last 20 years much has changed – diesel fuel has dropped from 500 parts per million sulfur to a max of 15 ppm, fewer and weaker acids are found in used oil, engine designs have evolved, and oil chemistry has improved dramatically. While TBN was once an easy and effective way to predict remaining oil life, it no longer bears that relevance.